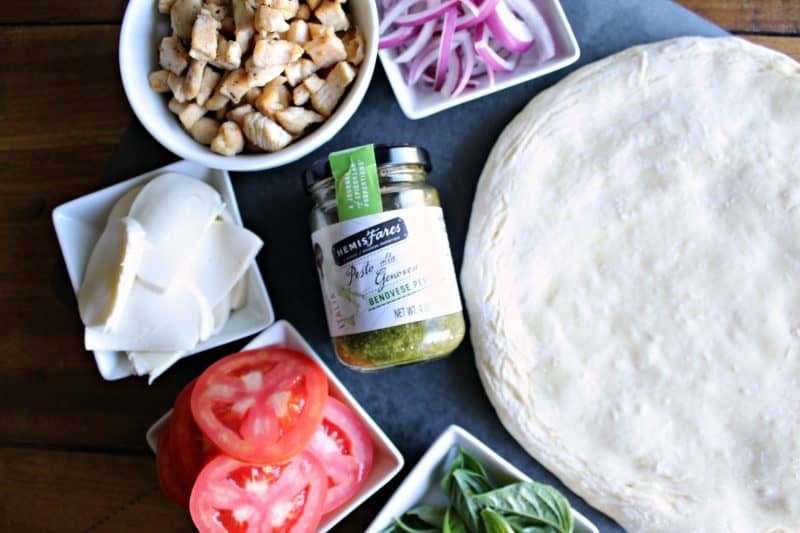 This easy chicken pesto pizza recipe is a sponsored post for HemisFares brand that is available exclusively at Kroger family of stores. All opinions are honest and 100% my own. A short time ago we asked you to imagine taking a trip to Italy and the opportunity to experience the beauty, the culture, and one of the most food-rich areas in the world when we first introduced you to HemisFares. HemisFares is all about bringing the absolute best from a country back to your local Kroger family of stores, including the taste of Italy with their delicious Pesto. The HemisFares products are individually sourced, crafted and imported from the country of origin. 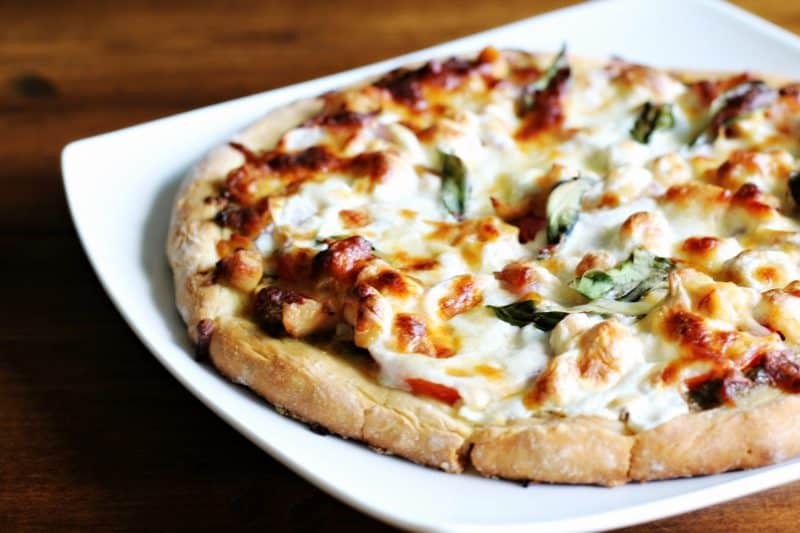 Their Pesto alla Genovese was the inspiration for this amazing Chicken Pesto Pizza. 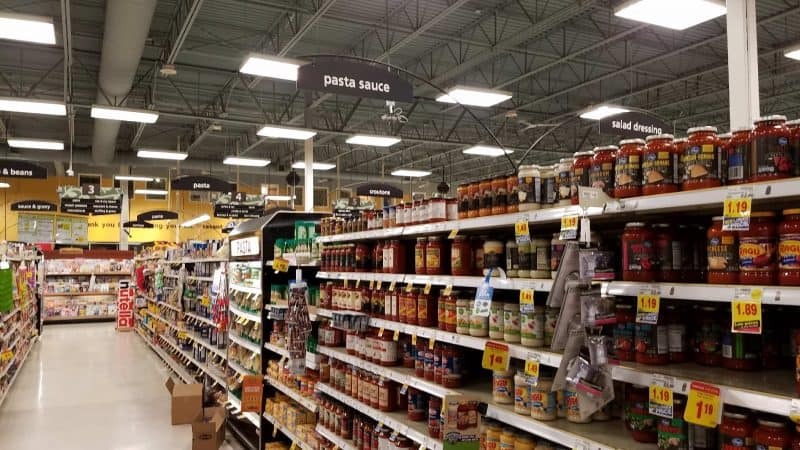 We recently stopped at a nearby Kroger family store in Mount Pleasant, Michigan and picked up a jar of HemisFares Genovese Pesto. This is a green pesto but they also have a red. I love pesto in many dishes. 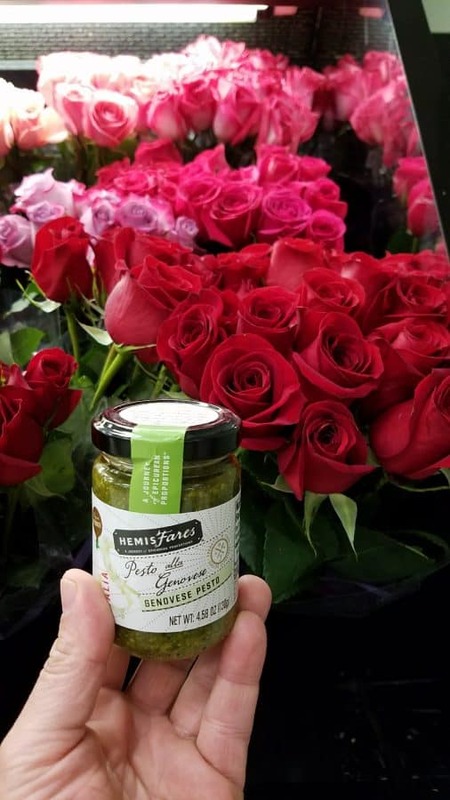 My husband teases me that I love it more than roses and that a surprise jar of pesto would make me happier than bringing me flowers! After picking up the pesto (and no roses), I grabbed a ball of fresh Mozzarella cheese and some chicken breast. While the pesto inspired me to make this Pesto Chicken Pizza, the fact that I had fresh Roma tomatoes and fresh basil growing in my garden at home was a big factor in the ingredient selection. The finished pizza was incredible and one I’ll definitely make again. Generously spread the pesto over the pizza crust. Top the pesto with the sliced Roma tomatoes, the cooked chicken, the red onion, and mozzarella slices. Place the basil leaves on the top. Bake the pizza in a preheated oven according to your crust recipe or packaging. I prebaked my crust for a few minutes then baked the pizza with toppings for another 18 minutes or so. 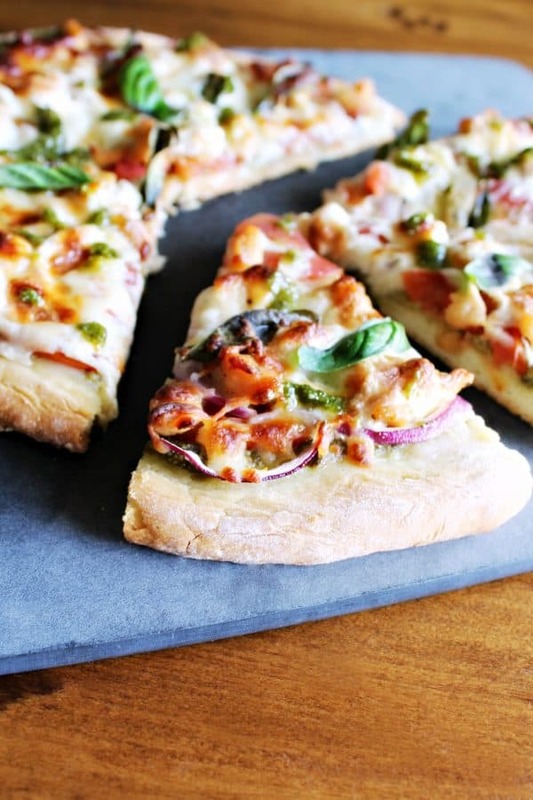 Remove the pizza from the oven and cool for several minutes before cutting into pieces. I LOVE everything about this pizza. 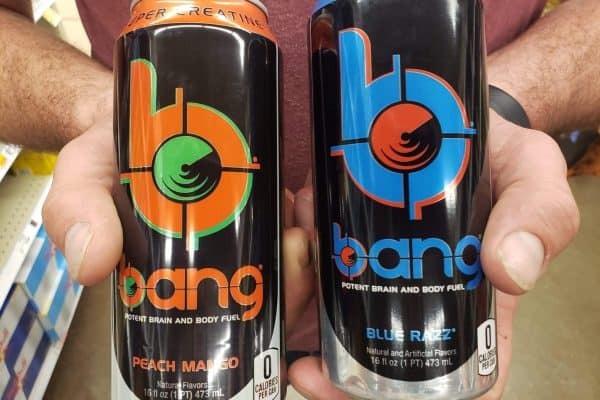 I’ll be honest, I didn’t share much of it with my family. My favorite part was the HemisFares Pesto Genovese instead of a traditional marinara sauce. It paired so perfectly with my homegrown tomatoes and basil! 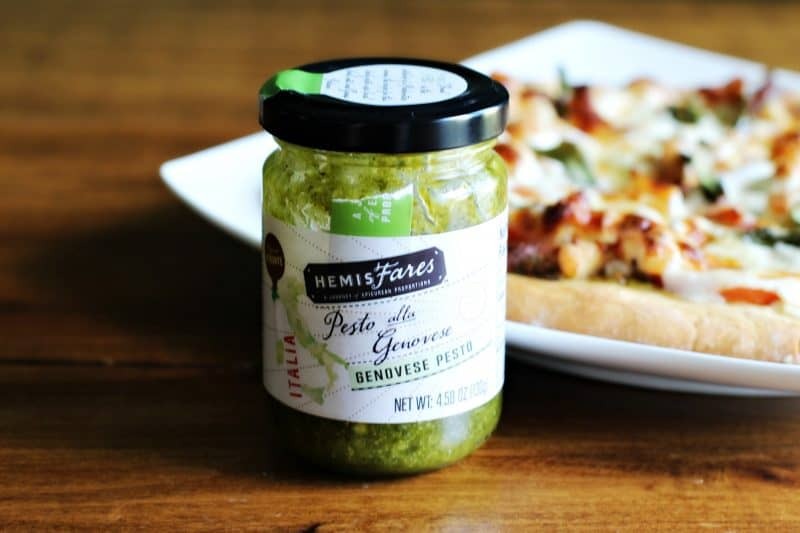 Learn more about HemisFares Pesto and other HemisFares products by visiting their Facebook Page or visiting their website at HemisFaresFinds.com. 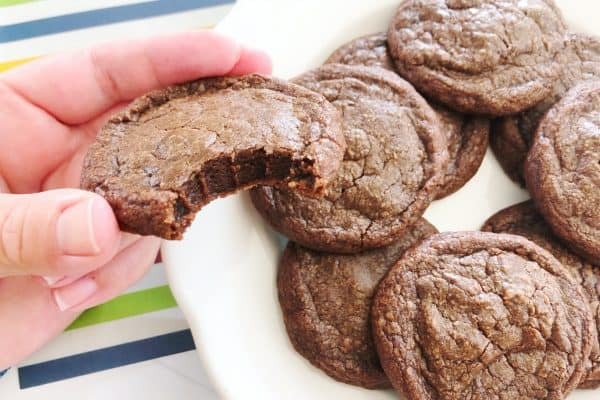 You’ll love their Cappuccino Gelato paired with our Chocolate Almond Biscotti- we made them into grown up ice cream sandwiches! 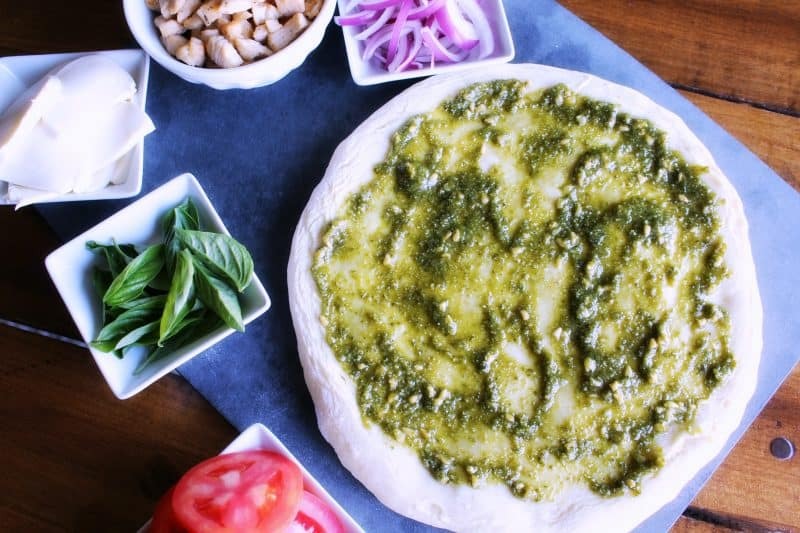 I too love pesto pizza and this one looks delicious.